After being released in the morning, Krause was quickly apprehended and brought back to jail within a few hours of the mistake. “The Third Circuit Court did not issue orders pertaining to bail or any related paperwork authorizing the continued detention of Keanu Krause at the Hawaii Community Correctional Center. The District Court dismissed his case and ordered his release. HCCC followed through with the order and released him,” explained Toni Schwartz, spokeswoman for the Department of Public Safety. Though it seems improbable that such a small paperwork technicality could lead to a prisoner’s release, this is actually the third time that such a mistake has occurred in the area since 2013. This underscores just how essential the proper paperwork is to trials, lawsuits, and prison sentences alike. 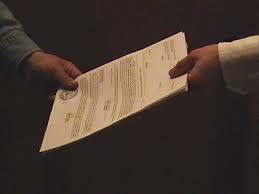 Whether you are personally involved in a court case or you are the attorney handling the case, it is critical to trust the delivery and communication of all essential paperwork to a professional process server who will not make silly and potentially damaging mistakes. Accurate Serve of Tallahassee, for example, serves all non-enforceable civil processes in the Tallahassee area. This includes serving summons, complaints, petitions, motions, notices, subpoenas, and so much more. Call (850) 519-5494 to employ the experts and trust that your legal battle will not suffer from avoidable mistakes.